Director Lingusamy is back after a long gap with the sequel of his massive hit Sandakozhi. 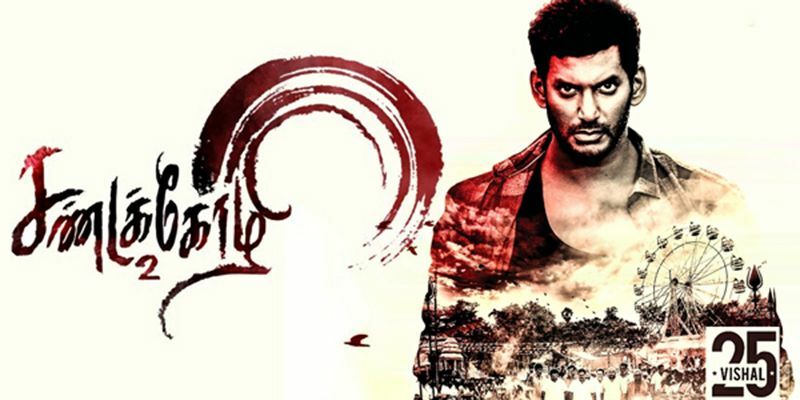 Sandakozhi is special for Vishal, Lingusamy and its fans and here is what the much expected second part has got. Sandakozhi 2 takes us back to the family of Ayya Rajkiran with changes in cast. The film has some power packed scenes and packs a pinch of the old movie as well. The film starts off with clear narration of what’s going to happen. Ayya and his family are trying to organize the festival that has been long time pending. Varalaxmi is the baddie who tries to create chaos. Why she does that and what happens is what the film is all about. Rajkiran’s presence as Ayya is great strength to the film. There are certain power packed scenes that establish his superiority in the village. Vishal scores with his muscular looks. Fight sequences are as good as the first part. Munishkanth is the comic relief and does a much better job than what Ganja Karuppu did. Keerthy Suresh looks apt as a village belle. He cute expressions, energetic presence adds color and vibrance to the film. Yuvan Shankar Raj’s background score provide the mass factor to the scenes. The album has a couple of decent tracks as well. Sakthivel’s art direction presents a colorful festival mood. However, the film follows a regular commercial pattern and becomes predictable at many places. No surprises or deceiving scenes that add interest is one of the major reason that makes the film slightly unengaging as it progresses. Fight sequences and the build up for Ayya’s family are great to watch. The emotional factor and the nativity detailing are great plus points for the film and there are a lot to connect for audience. On the other hand, a bit of freshness in the screenplay would have made the film better to watch. Verdict: Sandakozhi 2 is for those who never complain about commercial flicks.